Woken up to flooding in your home or basement but can’t find the cause? Water bills climbing every month but your usage is unchanged? Whether it’s water pooling on the floor or worsening water damage around your home, finding a leak and fixing it as soon as possible is essential to minimizing plumbing and repair costs. Here we look at the possible causes of leaks around your home and how to deal with them to diminish the damage. If you suspect you obtained a leak somewhere in your home you can use your water meter to help you confirm that you acquired a leak, so you can take steps towards fixing it. Shut off all outlets in your home and ensure no water will be used for the next half hour. This includes water filters and ice-makers in the refrigerator. Once all outlets and sources of water consumption are turned off in your house, locate your water meter. Check the leak indicator and see if it is moving – this is a quick way to check for a leak. You can also record the time and position of the water meter needle on the dial. If the reading on your water meter has changed after some time – water is leaking in your home. While a leak could happen in any pipe or outlet both inside or outside your home there are common sources of leaks to watch out for. Toilet leaks are often ignored and can be silent, but they can end up wasting hundreds of gallons of water each year and drive up your water bill. Toilet leaks are generally easy and cheap to fix once you identify the problem. You may be able to see and hear your toilet running. Otherwise, you can test for a leak by adding a few drops of food coloring to the tank and leaving the toilet for an hour or two without flushing. If colored water makes its way into the bowl, you have a toilet leak. Flapper Leaks – The flapper lifts to allow water to flow when the flush is pushed, so if the flapper is worn or damaged your toilet tank can leak. Flush Handle Problems – If the flush handlebar or chain sticks, it can keep your toilet running until you jiggle the handle. Overflow Tube – The overflow tube in your toilet stops your tank overflowing, but if the water is too high your overflow tube can cause a toilet leak. Leaking faucets are a common culprit for plumbing leaks – even a slight drip can waste vast amounts of water over days, weeks and years. Worn out rubber washers are usually the issue and are easy to replace. In some cases, your faucet might need more repair to stop a leak, so call a plumber if swapping out the washer doesn’t help. 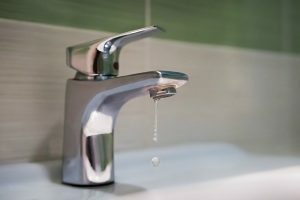 Leaks can also occur from wastewater sources and these are a lot harder to detect because wastewater is removed by gravity and not the pressure. 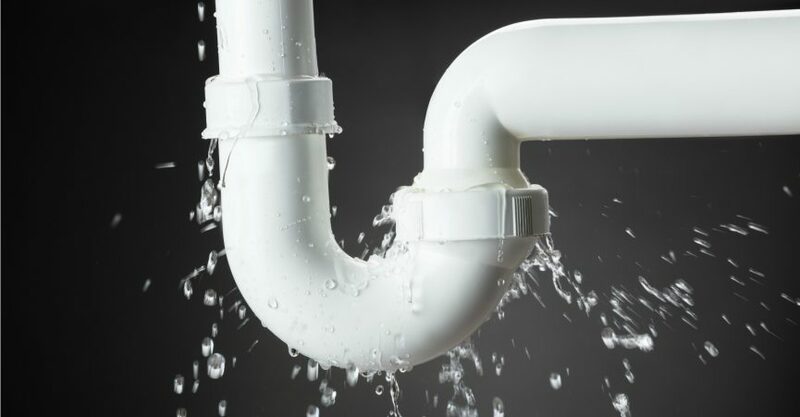 Leaks can also occur anywhere in your plumbing system including behind walls or under the ground. Signs of leaks can include wet stains, warped walls, doors or fixtures, and discoloration on your floors, ceiling, walls, and woodwork. Detecting a leak and identifying their source is the first critical step to limiting and preventing water damage in your home. Contact a local plumber to minimize hidden water damage and water wastage if you suspect a leak in your home and can’t find the source or rectify the water damage. What is Trenchless Sewer Repair and What Are the Benefits? Call us – Available 24/7! © 2019 Magnificent Plumbing. All Rights Reserved.